Among the myriad of devices available at the moment that support streaming, Apple TV owners would also definitely be looking for some good enough streaming apps to make their World Cup experience memorable. This is because the Apple ecosystem, unlike other domains, has its own specific apps in its Itunes store, so the options working perfectly for others won’t probably be a good fit for them. Wait Sec: Before scroll down for details just read our 3 Min Apple TV VPN guide. Here is a definitive guide on your best options on how to watch Fifa World cup on Apple TV which includes paid apps, free apps and how to bypass geo-restrictions on these apps with a Best VPN and more! As the World awaits with baited breath for the biggest sporting event in four years, fans are flocking to find out where best they can watch the Fifa World Cup 2018. While Paid offers much more, free streaming options still are your next best option to stream the matches from FIFA. Many of them won’t be broadcasting all the matches from the tournament, but they can definitely be useful in catching up with much of the action. Here are some Top and highly reliable free streaming providers which will be streaming live matches from the tournament for the audiences to enjoy. The BBC iPlayer is an online streaming service by the famed media group BBC and it streams everything from the latest news to TV shows. And this time around, the BBC iPlayer is going to stream live matches from the Fifa 2018 World Cup making it a great candidate for you to opt for as your preferred streaming option. However, there’s a major catch here, and that is, that this streaming provider is geo-restricted and not available to viewers outside the UK. 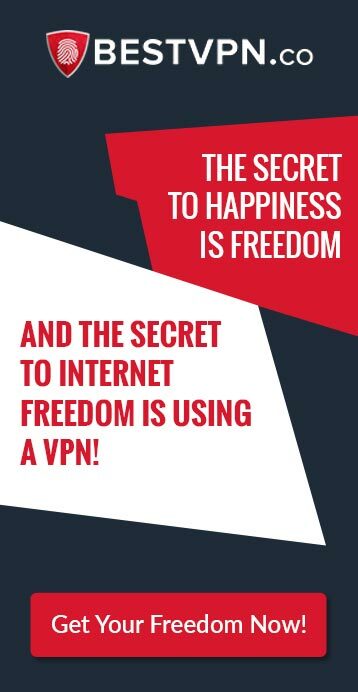 Subscribe to a Top VPN that offers powerful servers in UK. 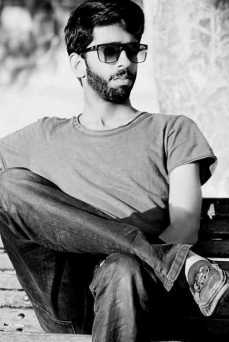 Download and install its native app on your device. Run a speed test and check whether the speed is good enough for streaming or not. If it is, then proceeds forward and if it’s not, then move on to a new server. Match TV is a prominent Russian streaming service and the two best things about it in the upcoming days would be that firstly, its free to use, and secondly it will stream all the matches from FIFA live. It doesn’t get better than this! But, Match TV is only available in Russia, so if you are living outside the country, you won’t be able to access it unless you are using the Best VPN. Select a Top VPN provider with Russian Servers (Preferably in Western Russia). Subscribe to a pricing plan that suits your budget. Download and set up the VPN client app on your device. Connect to a Russian Server and then Open Match TV. Match TV is in Russian, so the commentary in all the matches for the World Cup will be in the same language, so if you are okay with this, then go ahead or look for other similar streaming options in our list! Optus has official broadcasting rights for FIFA in Australia and will be one of the few providers that will be streaming all the 64 matches live. 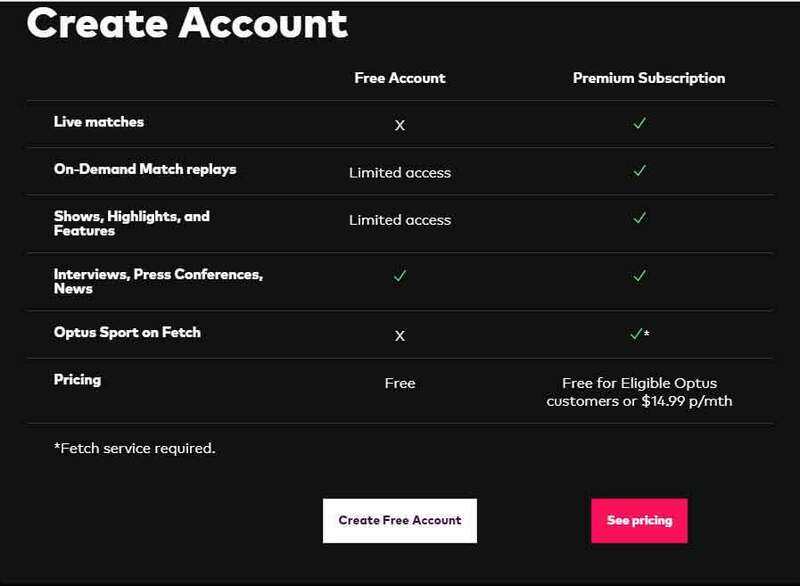 And this extremely popular streaming provider is offering a special World Cup Package for just $14.99/month, which will include streaming of live matches, on-demand match replays, Shows, highlights, news, conferences, interviews and more. It’s your best option for following the World Cup like a true fan should. Still, you do need to keep in mind that Optus Sport is a geo-restricted site/app and you won’t be able to access it until you re-route your connection to Australian servers through the VPN. Just simply subscribe to a Top VPN provider and install its native app to gain access to the VPN. Once that’s done, connect to Australian servers and you’re good to go and enjoy your Optus Sports special subscription without any interruptions. Offering 60+ channels for just $35 month, DirecTV is perhaps one of the best online streaming options available at the moment in the United States. Its subscription packages are far better in value and pricing than other similar competitors like Hulu Live TV, PlayStation Vue, Sling TV and YouTube TV. And its currently offering the first three months of your subscription at just $10/month in addition to a one week trial period as well. 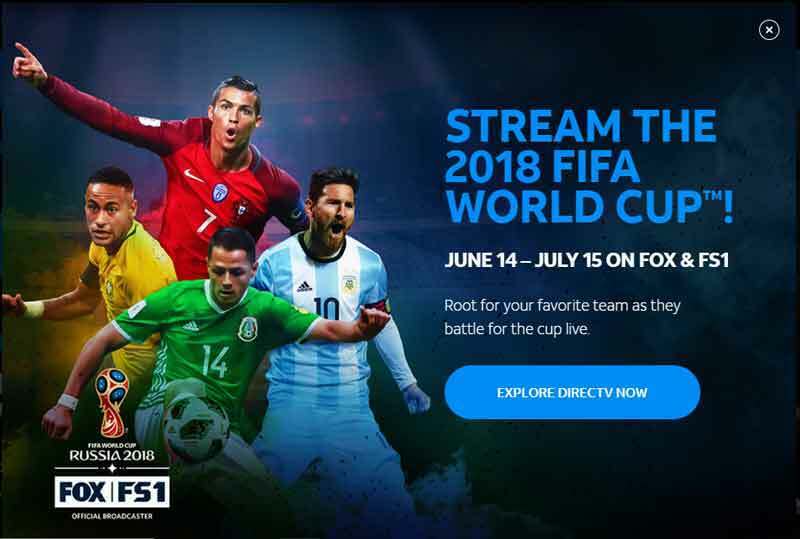 On top of all of this, DirecTV Now will be streaming all the matches from the Fifa World Cup 2018 live on its service, so if you are looking for a comprehensive streaming provider, then your search ends here. DirecTV Now is only available to viewers inside the US and if you want to access the service from outside the country, then you require a Powerful VPN that has a good collection of US servers to allow you to unblock the site. Many live streaming websites and apps like the ones mentioned above are geo-restricted which means that users can’t go through to them if they don’t live in the area specified for the app’s usage. However, if you have a powerful VPN at your command, you can unlock most of these sites with incredible ease. What’s more is that many of the Top VPNs come with incredibly easy-to-use compatible apps with Apple TV, or if there isn’t one available, you can always use side-loading to setup up the VPN on the device. Here are some top VPN providers for streaming the World Cup 2018 live that you can subscribe to in order to unblock major geo-restricted streaming sites for viewing live matches from FIFA. Although the US Football team didn’t qualify for the main event, unfortunately, fans from the country will still have a lot to look forward to this amazing event. From Messi to Marcelo to Mohammad Salah to Harry Kane to Neymar, there will be no dearth of amazing players to vouch for this World Cup. So if you are a football fanatic residing in the US and own an Apple TV, there are multiple options in this guide on how to watch FIFA 2018 in the USA. Perhaps the most star-studded event of the whole tournament is the Opening ceremony, which will take place on June 14th, 2018, just before the start of the first match. The ceremony is going to feature some exhilarating performances by top stars, gymnasts, trapeze artists and more along with a colorful display of Russian culture and football glory. If you too want to be amazed by this showcase event of the FIFA on your Apple TV, then do go through this guide on how to watch World Cup Opening Ceremony 2018. Kodi debuted as XBMC on gaming consoles, but its now caught on and it provides great support as an open source home theatre software on multiple devices. 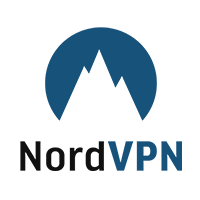 It features thousands of great add-ons and hundreds of powerful repositories including paid and free ones to allow you to satiate all kind of viewing needs. The World Cup 2018 can also be seen on your Apple TV via Kodi through its sports-based video add-ons, so if you are looking for installation guides for setting up Kodi on Apple TV, trying to find out which add-ons will be streaming the matches live and more, read this guide on how to watch FIFA on Kodi in 2018. The World is filled with football fans and all of them are super excited for the upcoming games and we can’t wait for the kick off to happen either. For Apple TV users, this guide will provide you the best options for all of your 2018 World Cup FIFA Streaming needs and ensure that your experience remains great throughout the tournament! Think Different, Think Football!